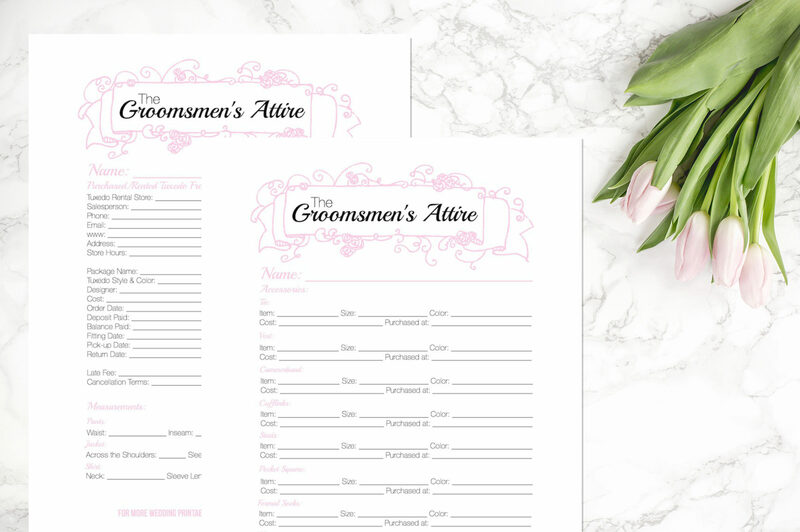 Wedding Binder - Blush Pink Groom & Groomsmen's Attire Worksheet - Happily Ever After, Etc. 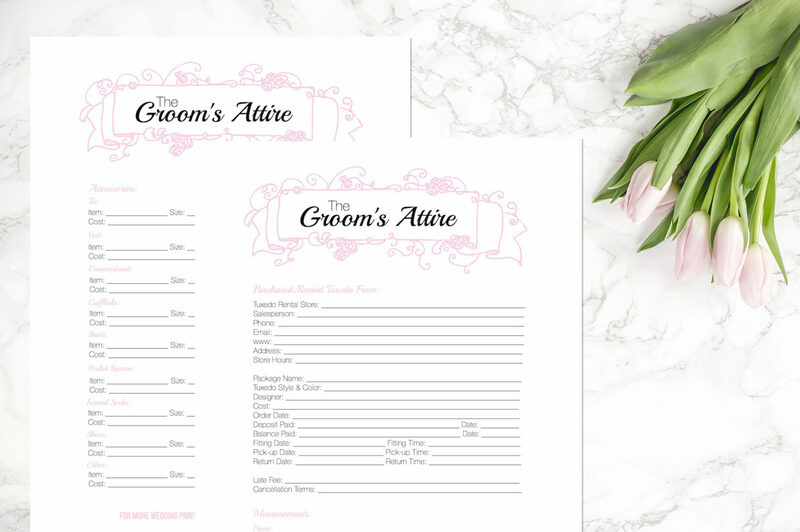 Whether you’re buying a tux, renting a suit or going casual with a mix of attire these worksheets are the perfect solution to keeping your groom’s attire organized! 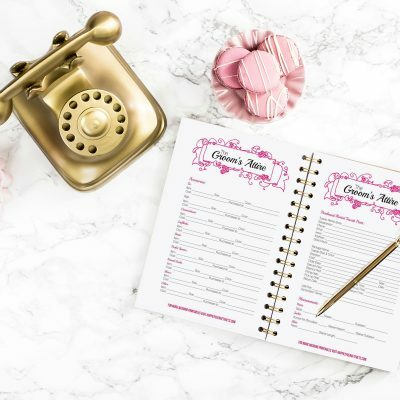 Add them to your wedding binder so you don’t miss a beat when it comes to your man’s special look. 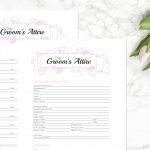 With two printables to record every single piece of your groom’s outfit and two printables to keep track of your groomsmen’s attire you’ll know every single detail for the big day. 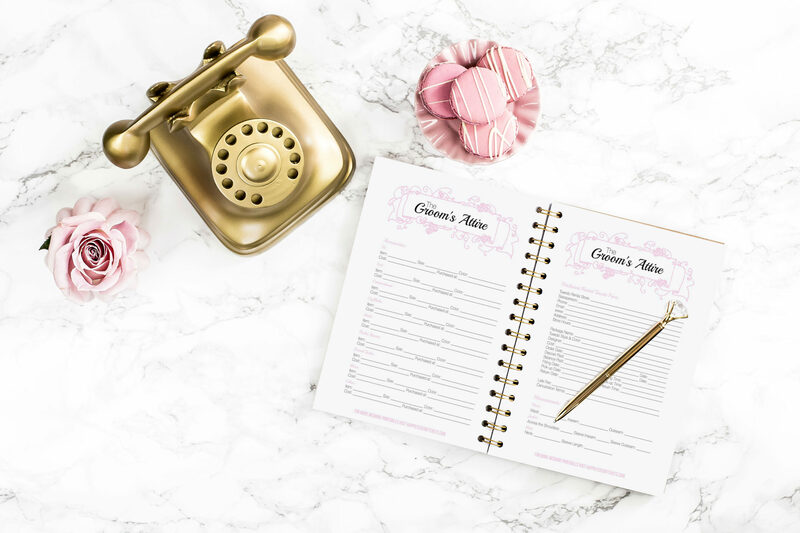 I loved these pages to keep track of those pesky late fees and cancellation costs… because let’s be honest groomsmen are not known for being overly punctual!